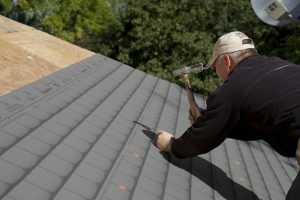 Introducing two new lightweight synthetic roofing underlayments, designed to replace #15 asphalt felt. 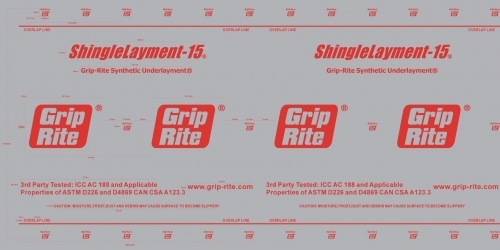 Grip-Rite® ShingleLayment-E is a medium duty version of our proven Grip-Rite ShingleLayment. Woven 10 x 10 scrim polypropylene substrate coated on both sides with a non-skid TPO coating. 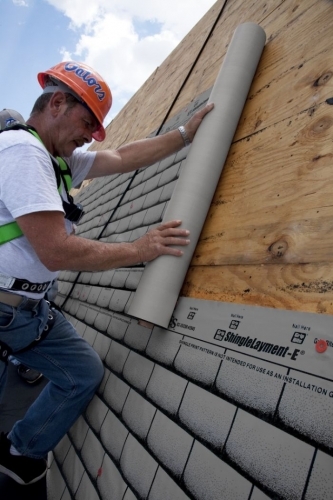 ShingleLayment-E has high tensile strength to resist blow off from high wind exposure. 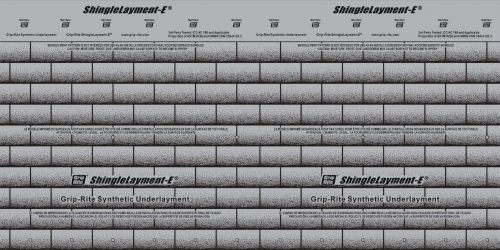 ShingleLayment-E can be used under any mechanically attached asphalt shingle application. Grip-Rite® ShingleLayment-15 is a woven 10 x 10 scrim polypropylene substrate coated on the walking surface with a spun bonded non-woven that provides non-skid traction. ShingleLayment-15 has high tensile strength to resist blow-off from high wind exposure. 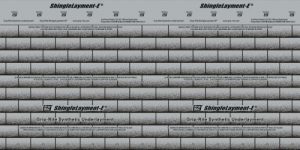 ShingleLayment-15 can be used under any mechanically attached asphalt shingle application. Both products are designed for use on steep slope roofs beneath asphalt shingles as an alternate to ASTM D226, Type I or II or ASTM D4869 asphalt felts. 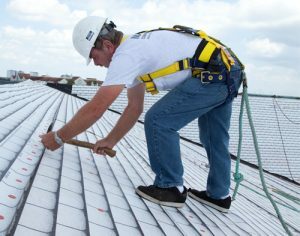 Both are a water shedding device designed to reduce the occurrence of leaks caused by wind-driven rain penetrating the primary roof system coverings as well as a temporary cover on exposed roof decks.